For most of Western history, theological education was almost entirely academic and theoretical. In the 1920s, in clinical settings, that began to change. The changes took place in large measure because of innovations in other fields of education. The 1910 Flexner Report called on American medical schools to enact sweeping reforms, moving out of the academic classroom to the establishment of clinical internships and residencies where doctors-to-be learned by working with real patients. 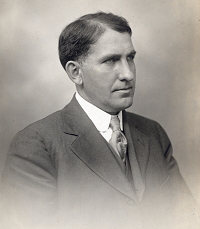 Motivated by the urgency to understand the religious and developmental implications of his own psychotic episodes and resultant hospitalizations, Presbyterian minister Anton T. Boisen (1876-1965) in the early 1920s developed the key components of what he called Clinical Pastoral Training (CPT), what is now more commonly but probably less accurately called Clinical Pastoral Education (CPE). (We use the terms today interchangeably. ) Boisen began to train theological students in hospitals, working with real people whose lives were in crisis. Thus began the art and science of the disciplined application of the clinical method to specific cases of pastoral care and spiritual counseling. The result is a form training for ministry and theological reflection, employing a collaborative mentorship approach, that focuses on learning from contact with living persons facing their own, real-life problems. Over the years CPE has become a formative component in the preparation of individuals both for traditional religious ministries and in the specialized area of clinical chaplaincy. Boisen saw real-life experience as the starting point for meaningful pastoral care and recognized that to help people face and find meaning and purpose in the face of distress, crisis, loss or grief it is not enough to know about people’s religious traditions, practices and beliefs. In such circumstances, understanding the behavioral and social sciences, Boisen believed, was essential to providing effective ministry. Today, our CPE program is at the forefront in providing this sort of training. We’re proud to follow in the tradition of Anton Boisen who was in many ways prescient, anticipating a truly integral, engaged body-mind-spirit approach to care giving.